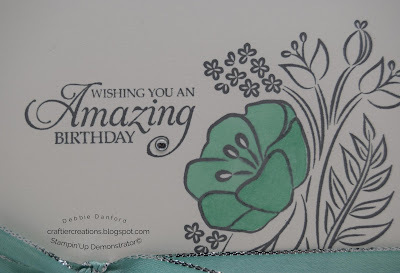 Another easy peasy card. I think we might make this one at my class on the 30th. 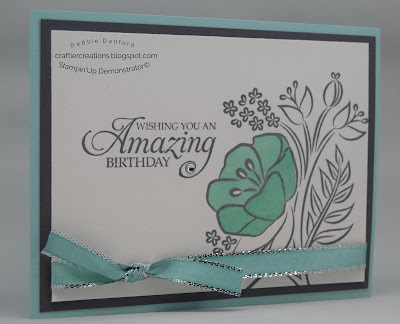 On Shimmery White stamp the flower and the phrase in Basic Gray. 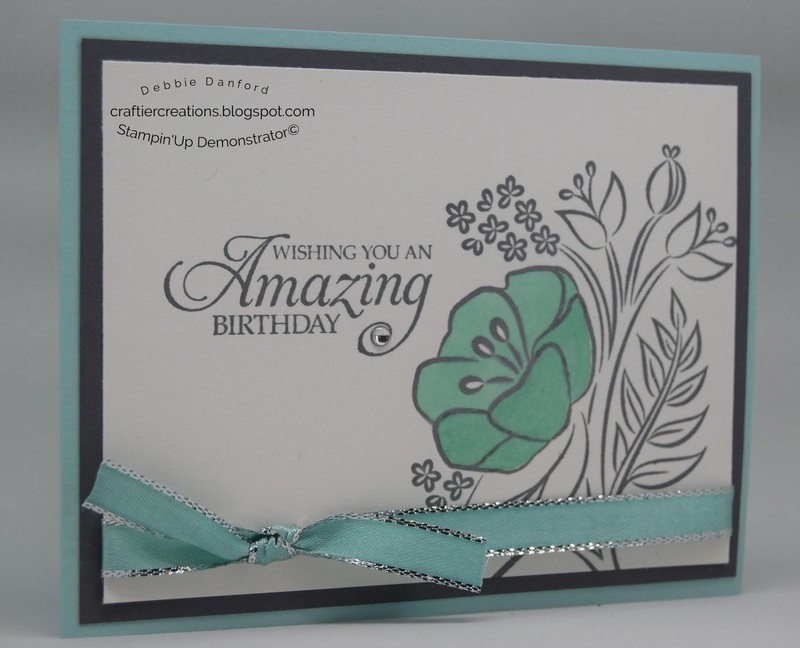 Color just the flower with the Dark Pool Party Stampin Blends. 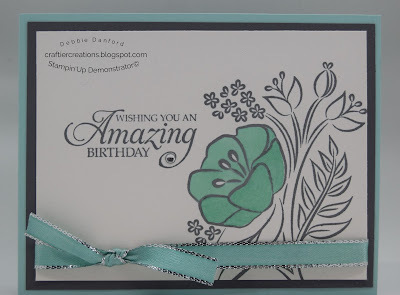 I also colored the Silver Ribbon with the Pool Party Stampin Blends. 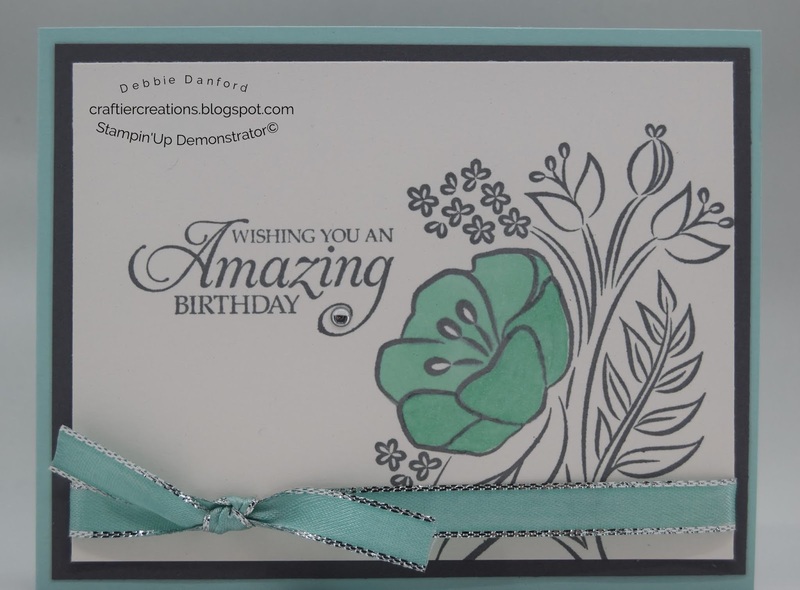 Attach ribbon and then attach to all layers. Add Clear Epoxy Dot and walah you are finished!